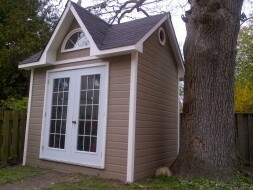 This 16' Canexel Catalina workshop design in Toronto, Ontario with large sojo slider window and cupola. The building is not only spacious and functional but represents the multiple uses of our larger structures. 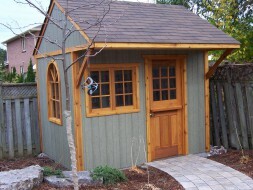 This 16' Catalina workshop and storage shed from Toronto, Ontario is a great example of the multiple functionalty of our larger modular structures. 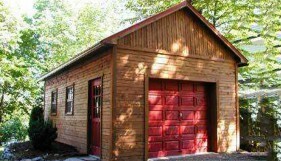 Spacious and functional! 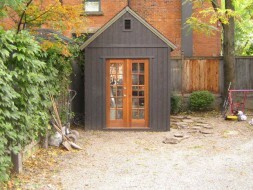 This Toronto shed offers simple elegance; the double French doors provide ample entry space and the fine arched window provides for bright storage space. 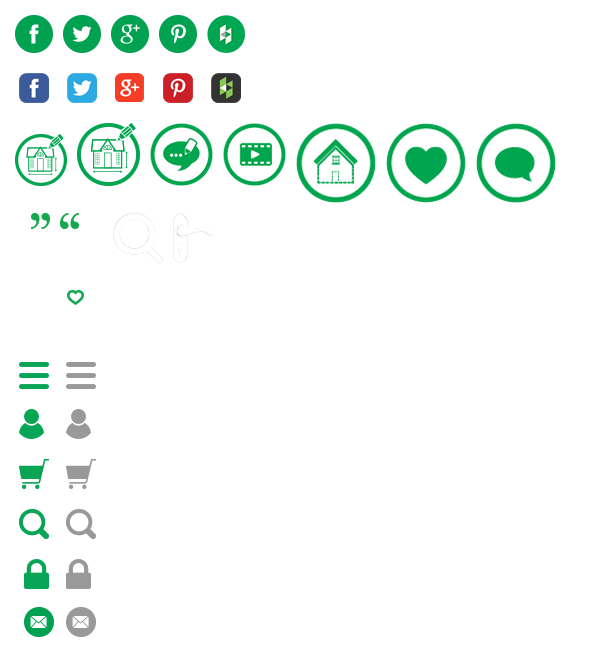 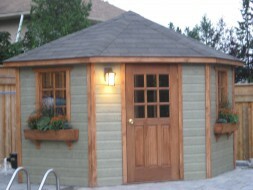 This particular one is a 8ft x 10ft pre-cut kit. 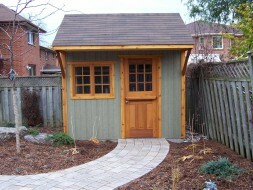 Our stylish 8 x 10 Glen Echo shed plan located in Toronto, Ontario beautifies the surrounding with its simple design. 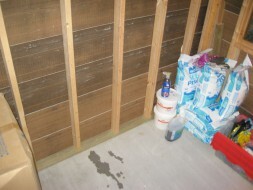 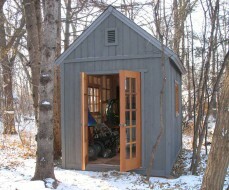 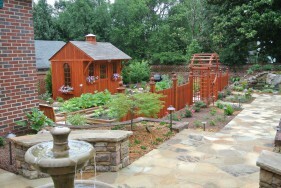 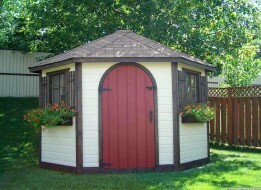 This shed provides a large space for the owners to store lawn and garden tools, equipment and much more. 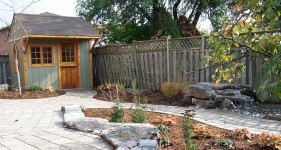 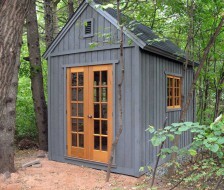 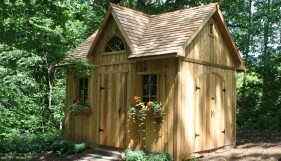 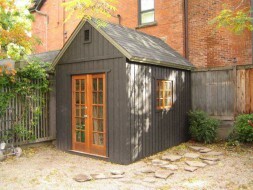 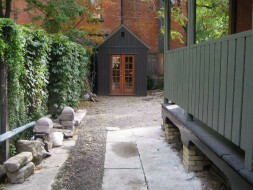 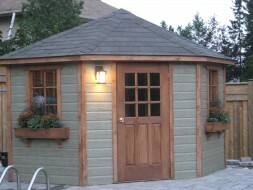 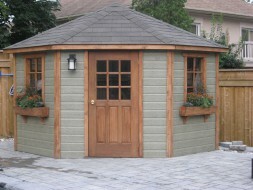 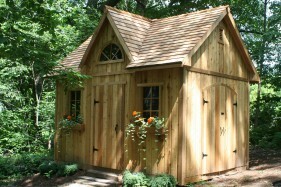 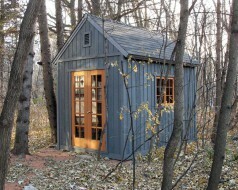 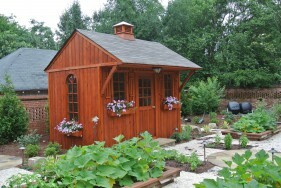 This 8 x 10 Glen Echo garden shed located in Toronto, ON is simple yet stylish. 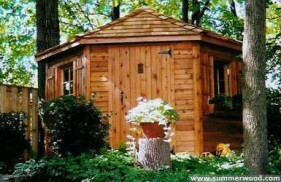 It beautifies the surrounding in which it is located. 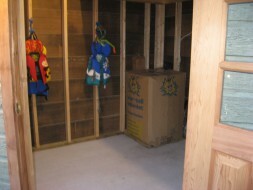 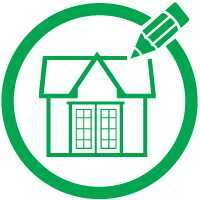 It is spacious for storing lawn and garden tools, equipment and much more! 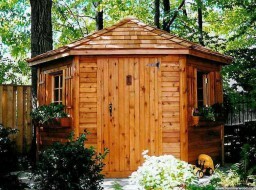 Inspired by Mother Nature, the beauty of this Catalina is its simplicity. 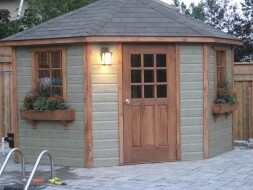 Standard door and window, complete with flowerboxes and shutters, lets the cedar put on the show. 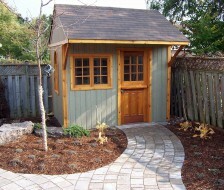 This 8ft Catalina garden shed is home to Nepean, Ontario and with stylish design you can use this building for more than just a shed. 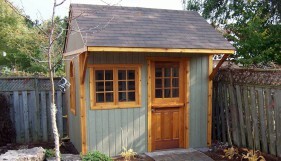 There's a Bavarian flavor to this 5 sided Catalina finished in Almond Canexel siding. 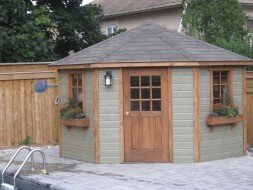 Our 9ft Catalina Pickering, Ontario Pool Cabana gives our customer the perfect place to store their Pool items. 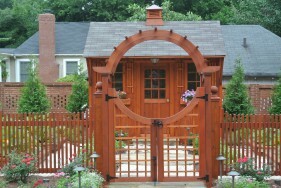 Designed with a 9-lite single door and flower boxes that gives a touch of beauty to your pool. 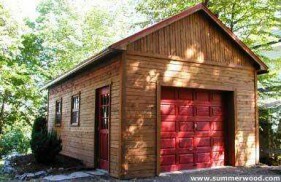 One look at this highlands garage and you'd be forgiven for wanting to come back next life as a car. 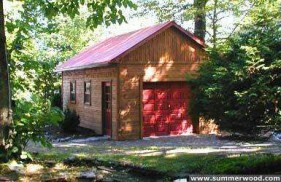 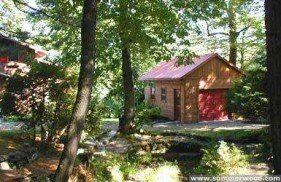 The splendor of the red cedar and cedar garage door look at home amidst their leafy setting. 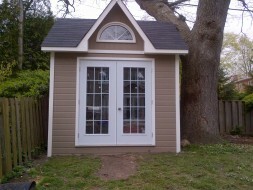 This Massachusetts Palmerston shed is a playful and fun addition to the backyard attached with interior and exterior benches provided by the customer. 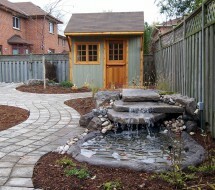 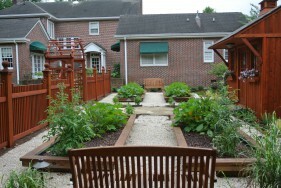 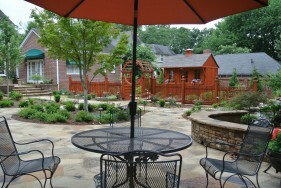 A lovely addition to any small backyard. 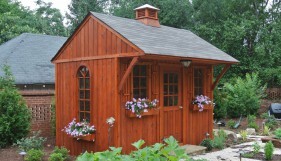 This 10x14 Copper Creek shed plan located in Evansville, Wisconsin with rough Cedar siding is customized for storage or a potting. 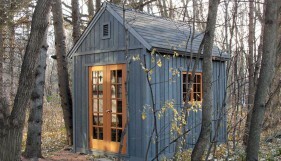 It is a practical and beautiful cabin. 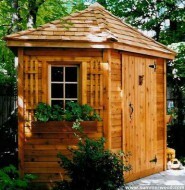 This shed can be a beautiful cabin with its 10ft x 14ft and rough Cedar siding, this example is located�at Evansville, Wisconsin.�What a great bulding this could be in your house for storage or a potting. 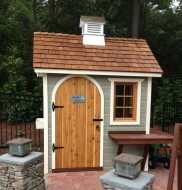 A 8x12 Glen Echo shed plan in Augusta, Georgia has an elegant appearance with a beautiful and spacious design. 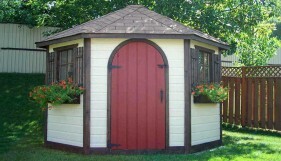 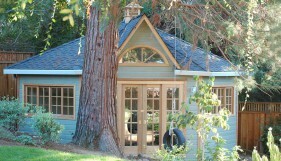 It is a lovely customized shed! 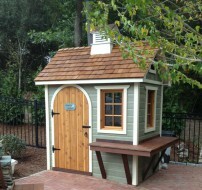 This gorgeous Glen Echo design calls Augusta, Georgia its home, also the home of the PGA Tournament, we feel this beauty deserves some accolades as well! 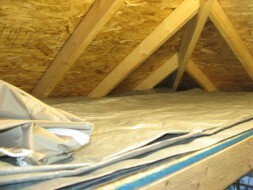 This design is quite roomy with its 8ft x 12ft dimensions. 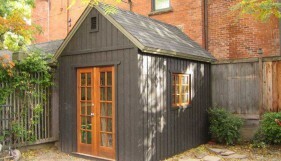 This Telluride could be used as a potting shed, art studio, or small workshop. 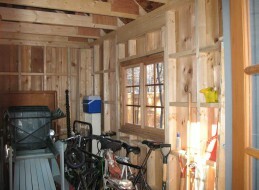 It has been stained beautifully and comlpliments the surroundings nicely. 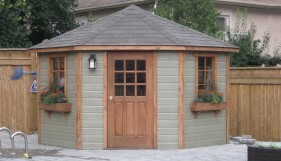 This 8ft x 12ft Telluride Shed is assembled in Winnipeg, Manitoba, it is made with rough Cedar siding and double French doors. 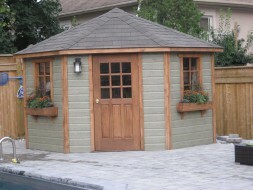 This bulding would be perfect if you want to add a nice touch to your backyard.